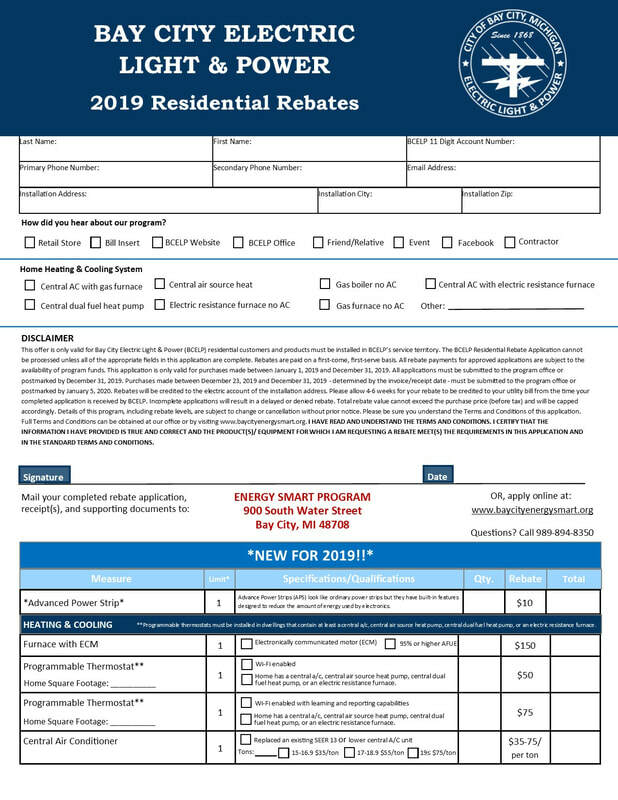 ​Saving on your electric bill is easy with Bay City Electric Light & Power's Home Rebate Program. By purchasing energy efficient equipment for your home, you will receive a credit on your electric bill and you will earn sustained energy savings. ​To view eligible rebate offers, click on our rebate application.